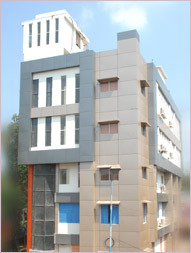 Hotel Ritz International is a 3 star category hotel located at Perumbavoor city. The hotel has all world class amenities and services that a tourist might expects from any hotel of three star category. It is ideal place to stay for both business class and leisure travelers who visit perumbavoor. A little away from Cochin city, Ritz is surely a cool place to stay and dine. 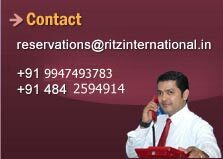 Hotel Ritz International has ---- Centrally air conditioned, cool spacious, elegantly furnished and decorated rooms. All rooms are thoroughly ventilated with windows and doors. Ritz offers services and amenities like 24 Hrs running H/C water, Television, Direct dial telephone, Refrigerators in all rooms and all other amenities that a three star facility hotel might require. Sri Mahadeva temple is located in the holy village known as Thiruvairanikulam, in the district of Ernakulam, in the state of Kerala in Southern India. The primary deity of this temple is Mahadeva (Lord Shiva) and his consort is Parvathi. The holy tree of this temple is Jack tree. The holy water of this temple is well water. The agamam or pooja of this temple is known as Sivagamam. This temple is about 1000 - 2000 years old in this region. The historical name of this spot is Thiruvairanikulam. The festivals that marks this particular shrine are 13 day Vaikom Ashtami is celebrated in the shrine following the Karthikai (November-December) Ashtami being the eighth day of full moon or new moon day, Tirukarthikai in November-December, Ashtami in Masi (February-March), Skanda Sashti in October-November, Mahashivrathri in February-March, New Year day as per the English calendar and Tamil calendar, Margazhi Tiruvadhirai in December-January, Vaikunta Ekadashi day, Onam, Amavasya, Vishu and Pournami are celebrated with lot of devotion and dedication at this particular shrine. The temple is open from 4.30 am to 11 am and 5.00pm to 7.30 pm. According to the local legends, "as per Sthala Purana (history of the land) Lord Shiva Himself directly did poor feeding on the Vaikom Ashtami day to ensure the victory of Lord Muruga to destroy the demons Surapanma and Tharakasura. Hence, feeding is devotionally observed in the temple by devotees so that they reap all the mercy of the Lord. It is also believed that Lord Shiva and Mother Parvathi participate in the event. This feeding ritual is called Pirathal." Address – Sri Mahadeva Temple, Tiruvairanikulam, Vellarapilli South Post-683 580, Via. Sri Moola Nagaram, Aaluva Taluk, Ernakulam district, Kerala.